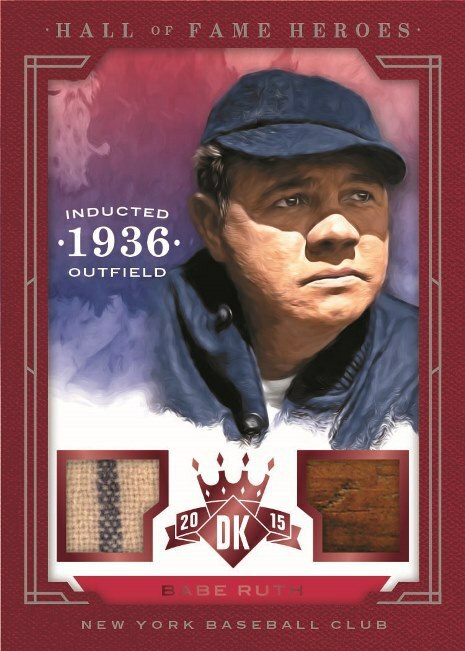 2015 Panini Diamond Kings Baseball ($65 per box) arrives Wednesday at Sports Cards Plus, a.k.a. The Super Hit Factory. Every box delivers two autographs or memorabilia. Every box is loaded with tons of great looking and numbered inserts. 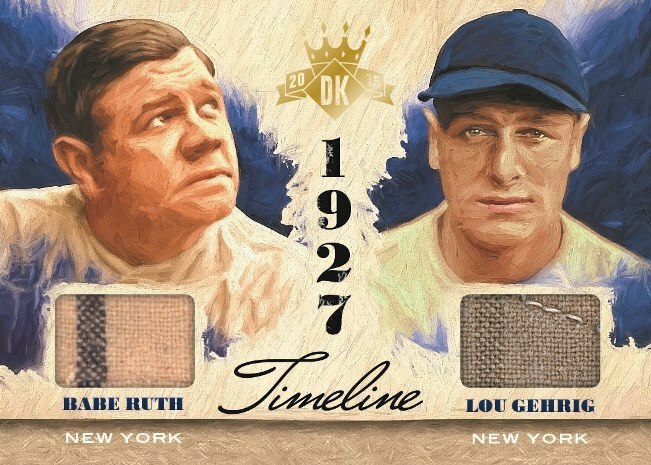 Diamond Kings includes top rookies, current stars, and the all-time greatest stars of the baseball diamond. 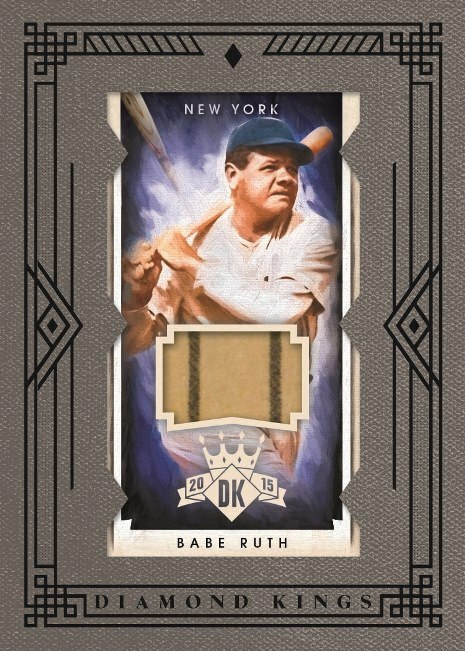 In 2003, The Donruss company bought a Babe Ruth Jersey for $230,000 (worth much more today) which Panini America took over when they purchased Donruss. 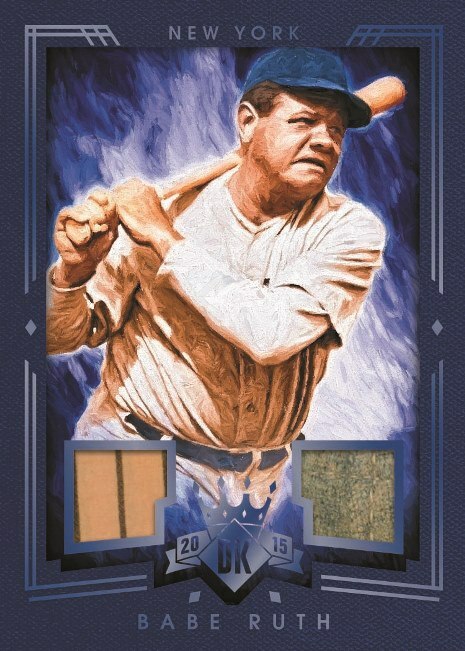 Diamond Kings will include Babe Ruth base cards, framed parallels, mini cards, a cut autograph and more. Also arriving Wednesday is The Rookie Prospector's best friend, 2015 Bowman Baseball. Hobby boxes are $64.95 and the ever-popular JUMBO boxes with three autographs per box are $149.95. 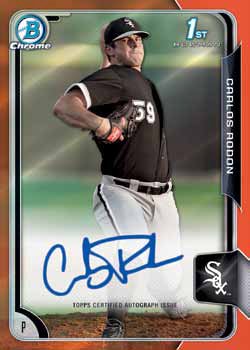 Here is a link from our friends at Cardboard Connection to get great information on Bowman Chrome Autographs included in 2015 Bowman Baseball. Who will be this year's Hot Prospect? Look for "Bowman Scouts Top 100 Autographs" Which include Kris Bryant, Joey Gallo, Carlos Radon, Touki Toussaint, Kyle Schwaber and more. "The Farms Finest Mini Autographs" include all the top prospects. Look for the elusive Superfractors in all the base cards, inserts, and autographed cards.